And like most of humanity, Wade dreams of being the one to discover the ultimate lottery ticket that lies concealed within this virtual world. For somewhere inside this giant networked playground, OASIS creator James Halliday has hidden a series of fiendish puzzles that will yield massive fortune--and remarkable power--to whoever can unlock them. For years, millions have struggled fruitlessly to attain this prize, knowing only that Halliday's riddles are based in the pop culture he loved--that of the late twentieth century. And for years, millions have found in this quest another means of escape, retreating into happy, obsessive study of Halliday's icons. Like many of his contemporaries, Wade is as comfortable debating the finer points of John Hughes's oeuvre, playing Pac-Man, or reciting Devo lyrics as he is scrounging power to run his OASIS rig. Suddenly the whole world is watching, and thousands of competitors join the hunt--among them certain powerful players who are willing to commit very real murder to beat Wade to this prize. Now the only way for Wade to survive and preserve everything he knows is to win. But to do so, he may have to leave behind his oh-so-perfect virtual existence and face up to life--and love--in the real world he's always been so desperate to escape. Ernest Cline's website is also totally awesome. Warner Brothers bought the film rights to this book back in 2010 but no news as to casting, production, or release dates. Won't you join me in reading this EPIC book? 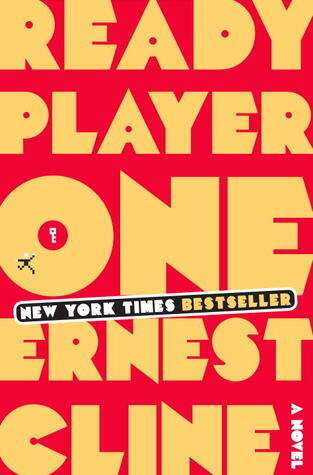 Check out Level Up Book Club's exciting side quest and pick up a copy of Ready Player One at your library or indie bookstore.